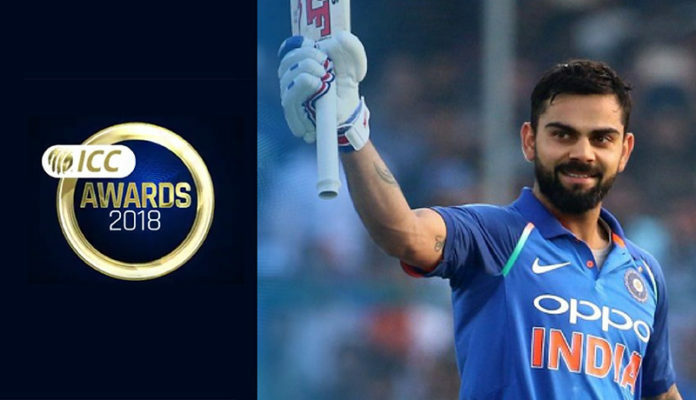 ICC Awards 2018 have been announced bringing big news for Indian cricketer Virat Kohli who has made history. It seems that one year into Virushka wedding has proven a lucky charm for Virat who has won six awards this year. Yes, it was indeed a Kohli’s sweep at ICC Awards 2018. He not only won cricketer of the year but also captain of ICC’s ODI team and ICC’s Test teams. The player has won almost every single award that a batsman could have dreamed. Now, bowlers must be happy that Kohli was not there to deprive them of their awards. This Ven Diagram clearly demonstrated his achievements. Kohli’s words on making this big on ICC Awards. After Anushka Sharma Sui Dhaga memes, the couple will have something worth smiling when they look in social media news feeds. Like, this hilarious stuff on Kohli’s performance. New Zealand’s skipper Kane Williamson won the ICC Spirit of Cricket Award. Humble and hardworking, Kane Williamson, winner of the ICC Spirit of Cricket Award, has made his mark as a brilliant cricketer and a better man. And, here is what Williamson has to say on winning ICC Spirit of Cricket award. ICC cricket team for 2018 inlcuded, Rohit Sharma, Jonny Bairstow, Virat Kohli, Joe Root, Ros Taylor, Ben Stokes, Mustafizur Rehman, Rashid Khan, Kuldeep Yadav and Jusprit Bumrah. Last year, Pakistani cricketers Babar Azam and Hassan Ali had also made to the ICC cricket team of the year. Names included in ICC’s Test Cricket team of the year are Tom Latham, Dimuth Karunaratne, Virat Kohli, Henry Nicholls, Rishabh Pant, Jase Holder, Kagiso Rabada, Nathan Lyon, Jasprit Bumrah and Muhammad Abbas. India’s Kumar Dharamsena won the ICC umpire of the year award. So, it seems that it was India’s turn to win big at ICC Awards 2018. The credit goes to Kohli and co and also a massive test win against Kangroos on Australian soil.